This phone is a normal mobile iPhone 6 64 Go voip that you can use for your everyday needs as you already do with your mobile. However, we have preconfigured and installed some applications, which will allow you to use the sip lines of any operator and a tool that allows its supervision in real time. 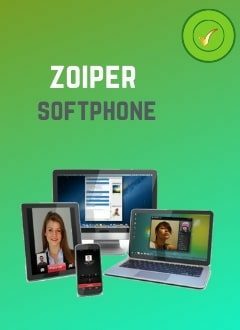 This phone is a normal mobile iPhone 6 64 Go voip that you can use for your everyday needs as you already do with your mobile. However, we have preconfigured and installed some applications, which will allow you to use the sip lines of any operator and a tool that allows its supervision in real time. This is a great solution if you want to reduce the cost of communications for your employees, but also oversee the use of the device by your employee. Thanks to a configuration of this iPhone 6 64 Go made by our experts, you will enjoy the advantages of the voip with a line Hivoox or another operator voip. It is configured to consume very little bandwidth, which greatly improves the quality of your voip communications. Free calls between mobiles purchased from us. Allows you to use multiple sip accounts in the same phone. You can make calls with multiple phone numbers. Supports up to 10 phone numbers from different countries. Enables audio, video, presence and instant messaging. Transfer calls to other mobiles or landlines. By equipping your employees with our iPhone 6 64 Go, you can track its use in real time. Thanks to the dashboard accessible via computers, tablets, smartphones ..., you can remotely monitor the iPhone 6 64 GB in real time and configure it remotely to receive alerts. Remote control of iPhone 6 64 GB mobile. Access to the online activity of your staff. Track the location of the mobile in real time. Blocking of access to websites identified as harmful. Define individual or group permissions according to your needs. Type of alerts: location, websites, applications, emails, sms, WhatsApp, Facebook, etc.